I know this might sound weird since it’s only the end of February, but I’m already planning for summer. Last year my daughter really really wanted to attend the Apple Store Film Camp and we had no luck securing a spot. This year, I’ve already signed up to be notified when registration begins, because she REALLY wants to attend the free camp. As I was looking around for something similar at the Microsoft Store, I stumbled upon TechTots Classes. These super cool and free classes are offered at Microsoft Stores across the nation. Your store will become a hands-on, interactive playground where children ages 2-5 will learn by doing — and parents can learn tech tips and discover the latest in technology. Classes are usually an hour long. There are a variety of TechTots Classes including TechTots Dance, Pets, Mystery, Safety, Safari, Carnival and much much more. To find a class near you head here. This entry was posted in Uncategorized and tagged Free, Free Classes, TechTots, TechTots Microsoft. 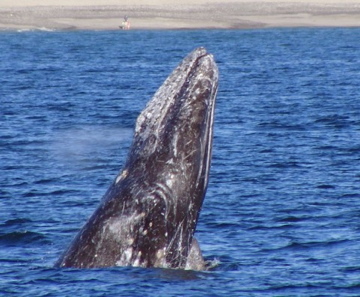 One of my favorite Southern California events is back and I can’t wait to make it out to one of the weekends of the Dana Point Festival of Whales. The festival is celebrating it’s 42nd anniversary and features two weekends of family fun. The festival will feature of course whale watching, kids free fishing clinic and free fishing trips, art lessons, a mobile Marine Mammal Museum, a rubber ducky race, a festival of whale parade, live entertainment, food and much much more (like I could go on and on!). There will be free shuttle service available on both weekends. You can park and ride free on both weekends all day long. Most of the events and activities are either free or very low cost. It’s an educational experience and also just plain fun. This entry was posted in Uncategorized and tagged Dana Point, Dana Point Festival, Dana Point Festival of Whales, FEstival of Whales. When I first became a mom, I bought everything new, the baby gear, clothes, toys, you name it. I didn’t know anything about consignment or baby resale stores, until one day I stumbled into one and out went spending money on things my children quickly outgrew. By the time, my son came around, a year and a half after my daughter was born, I learned to buy and sell from consignment stores. 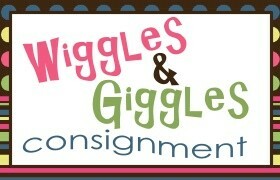 I love sharing about good ones, and Wiggles & Giggles Consignment is one you don’t want to miss! Clean out your children’s closets & toys boxes. Turn their outgrown gently-used clothing, furniture, toys, books, accessories & more into CASH! We advertise and promote the event guaranteeing lots of potential buyers. Wiggles & Giggles Consignment invites you to join our SPRING/SUMMER Sales. Sign up as Consignor and/or come to shop. Earn 65-75% of your total sales! Set your own prices with option to keep what does not sell! Shop FIRST before we open to the public! Shop the private Pre-Sale!!!! Easier and more profitable than garage sales, selling online or consignment stores! We do all the selling, you collect a check! Receive your check within 2 weeks of the sale ending! Go green, sell reusable items and shrink your carbon footprint! Corner of N. Hollenbeck St.
VIP Pre-Sale/Consignor 6:00 pm – 8:00 pm Goodie Bags! VIP’s shop before we open to the Public! Do you want to shop earlier than this? Become a Volunteer. See website for details. Open to the Public 11:00 am – 6:00 pm Goodie Bags! Open to the Public 11:00 am – 7:00 pm Goodie Bags! Open to the Public 10:00 am – 5:00 pm Goodie Bags! To learn more about the sale head here or follow on Facebook for the latest info. Win it! Win a $25 Gift Card for the sale. All you have to do is leave a comment letting me know why you love Consignment sales. That’s it! Giveaway ends on Friday, March 1st at 11:59pm and winner will be selected at random. Good Luck! Disclosure: Wiggles & Giggles is a sponsor of Daytrippingmom.com, however all opinions are my own and I love me a good consignment sale! This entry was posted in Uncategorized and tagged #Spon, Wigges & Giggles Consignment.